When I first came to Honduras, over a quarter century ago, I made it a point to visit Trujillo. It had a great reputation as having the best beaches in Honduras. 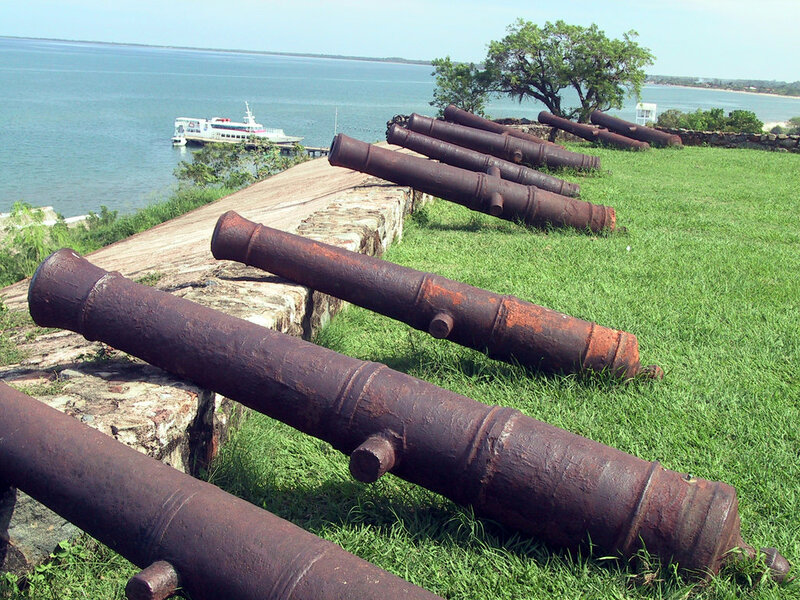 It is also the most historical city in Honduras. Yet, going to Trujillo was a long trip, 225 miles east of San Pedro Sula (360 km). The worst part was that it was literally at the end of the road. After visiting this lovely, friendly town, you were forced to drive back the same highway in the opposite direction. Because of this, Trujillo was never really on the backpacker trail in Central America. A New Road, a New Route! The asphalt highway between Juticalpa and Trujillo is a pleasure to drive! However, this all changed two years ago. A new highway between Juticalpa and Bonito Oriental now allows you to travel from Trujillo to Olancho route and on to Tegucigalpa. 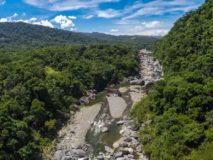 This makes it a heck of a lot more interesting for backpackers and adventurers who are looking for a route to get to know more of Honduras. Best of all, the route takes you along the Sierra de Agalta, one of the most pristine and beautiful areas in Honduras. 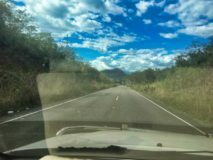 The drive is extremely scenic and allows you tie into your itinerary another destination that is off the beaten path in Honduras: The Talgua Caves in Catacamas, Olancho. 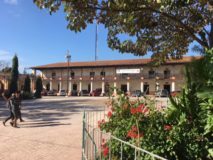 The Trujillo to Olancho route is so new, that most Hondurans have never followed it! It opens a new and different part of Honduras that is little known and has a lot to offer. This route allows backpackers to visit the spectacular Bay of Trujillo and then head on towards Tegucigalpa via Olancho. Yes, I know most travelers avoid Tegucigalpa, but there are several good reasons to take this route. First, you can visit the Talgua Caves. 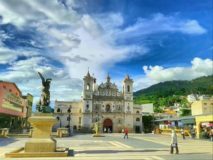 Second, you can spend a day in downtown Tegucigalpa and take a walking city tour, visiting the local museums. The city has a lot of charm, and you will certainly be happy you took a break here! Lastly, from Tegucigalpa, you can continue your route towards El Salvador and Nicaragua! You can of course, do the opposite, as you come into Honduras from Nicaragua or the Pacific Coast of El Salvador, travel through Tegucigalpa and then head on to Olancho. I suggest you spend the night in Tegus and visit the downtown area where the park and Cathedral are. Continue to Catacamas in Olancho and spend the night at the Talgua Caves. You can then continue to Trujillo and enjoy a few days at the beach and get close with the Garifuna Community. From there, La Ceiba is just a short trip away. Make sure you visit the Cangrejal River Valley either before or after you visit the Bay Islands. It is only 35 minutes from the Ferry Terminal in La Ceiba! After a visit to the Bay Islands and the Cangrejal River Valley in Atlantida, you will be ready to head west. Some backpackers go directly to Copan Ruinas. Others take a more southerly route and first visit the Lake Yojoa area, and then continue through the Lenca Route. In the end, they usually visit Copan. I suggest you visit both Santa Rosa de Copan and Copan Ruinas if following this route. As you can see, the new Trujillo to Olancho route opens many interesting alternatives. You will not find any mention of it on the travel guides, because this is a new route. But you can take advantage and be one of the first travelers on this route! The Talgua Caves Eco-Archaeological Park is interesting and not yet on the travel radar.